Brick-and-mortar retailers throughout Hampton Roads are heading into the holiday season with the majority expecting strong sales increases and good outcomes for the make-or-break shopping period. 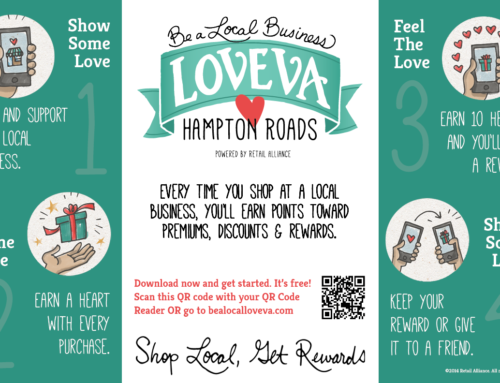 The results of the Retail Pulse survey, conducted annually by Retail Alliance, the Hampton Roads’ merchants association, gathers local stores’ holiday expectations with questions predicting increases or decreases in retail sales; special promotions, discounts or sales; Thanksgiving openings; and biggest holiday challenges. 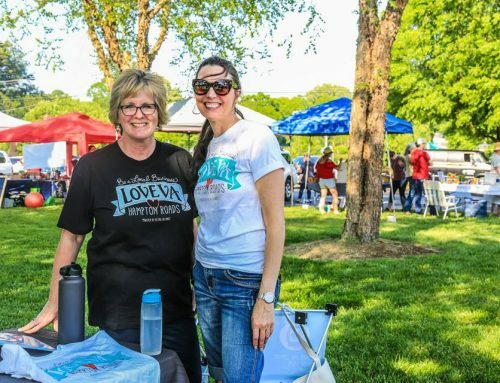 Of the merchants responding to the survey, 98 percent are storefront retailers with 55 percent being specialty stores. 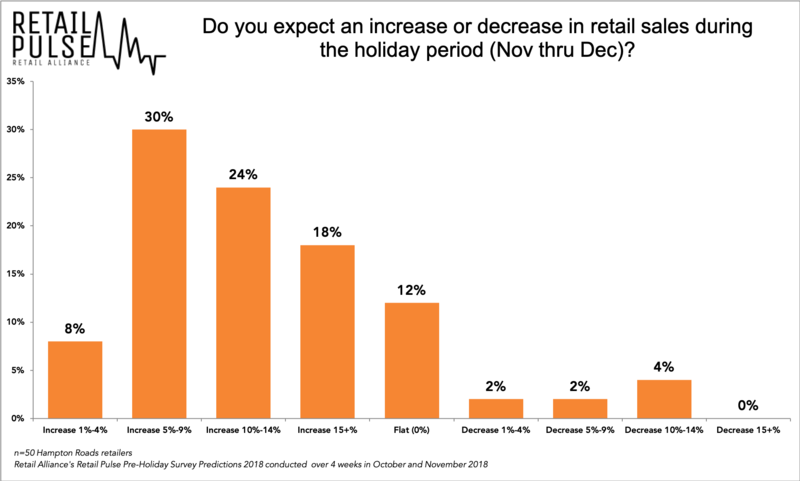 A holiday sales increase of 5-9 percent is expected by 30 percent of the respondents; 24 percent of respondents forecast a 10-14 percent hike in consumer buying; and 18 percent are looking for growth of 15 percent percent or more. The local retail holiday predictions are comparable to results from the annual consumer survey recently released from the National Retail Federation (NRF) and Prosper Insights & Analytics. This national economic report forecasts a 4.1 percent spending increase during the holidays, up from $967.13 that consumers said they would spend last year to $1,007.24 during the 2018 season. The national consumer survey follows the NRF’s annual holiday spending forecast which combines economic factors to predict overall spending rather than per-consumer spending. The NRF survey foresees that retail spending in November and December will increase between 4.3 percent and 4.8 percent over 2017 for a total between $717.45 billion and $720.89 billion. According to the local Retail Pulse survey, consumers will shop for hot selling items ranging from specific brands such as Patagonia clothing and Hobie Kayaks to clothes in general, gift cards, toys, shoes, tree ornaments and Christmas pajamas. Of the local respondents, 54 percent will offer discounts, sales and promotions on Small Business Friday; 32 percent will provide them on Black Friday; and 22 percent will promote specials on Cyber Monday. The majority of local merchants, 96 percent, will close on Thanksgiving. The NRF survey found that holidays shoppers are planning to spread their shopping across multiple channels and types of stores. An equal number (55%) will shop online and in department stores, 51% will go to discount stores, 44% to grocery stores, 33% to clothing stores and 24% to electronics stores. Only 23% plan to shop at local/small businesses. The mix of channels was further evident with 50% of those shopping online saying they will pick up their purchases in-store. Of online shoppers who want the package to come to their home or office, 94% will take advantage of free shipping and 16 % will choose expedited shipping and 11 percent will use same-day delivery. Notably, for the first time, staffing was listed by 12% of respondents as a challenge this year. At the national level, the NRF economic report notes that while sales and discounts remained the largest factor in choosing a particular retailer, cited by 71% of shoppers, quality and selection of merchandise were the next-largest factor (cited by 60%), followed by free shipping (47%) and convenient location (45%). 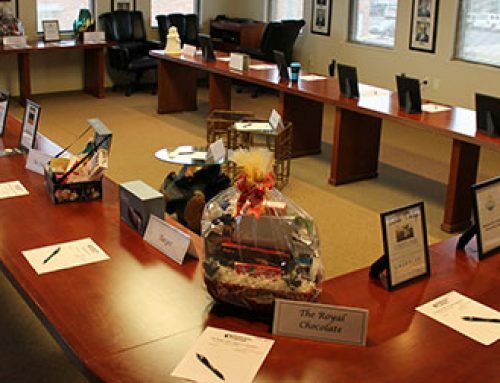 Retail Alliance is a non-profit trade association serving the interests of local retailers in Hampton Roads since 1903. 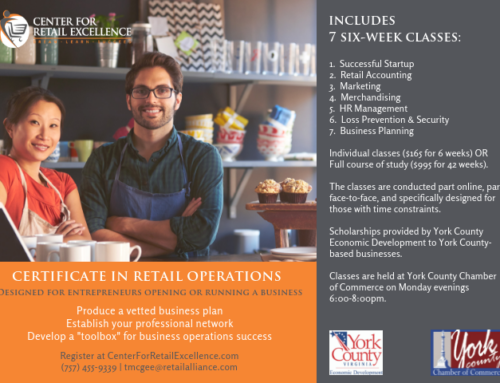 The organization promotes and supports the healthy growth of retail businesses and trade through education, advocacy and member benefits.